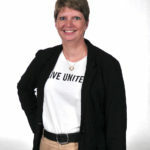 Please join CVNA as we welcome Deann Cook, Director of the United Ways of Iowa as she will present on the ALICE report for 2018 on Thursday, August 2, 2018 from 8-9:30 a.m. The United Way ALICE Report for Iowa is a look at the percentage of Iowa households that earn above the federal poverty level, but who are unable to meet a basic needs budget. More than one-third of Iowa households are in this population. They are in all the jobs we need to maintain our communities – health and childcare providers, cashiers, wait staff, retail clerks and customer service representatives – and dozens of additional job categories. They are working and earning and still struggling to survive. The report helps us understand the challenges and opportunities faced by the people our communities rely on most. Analytics touch every industry, from health care to agriculture. That’s why success for your organization can come from unlikely sources of data. Dr. Lehman will present engaging ideas and examples from current news topics showing how a careful data analysis should happen before conclusions are drawn, as well as how visualization fits into telling stories with data. Brief information about Loras College’s graduate analytics programs will also be shared. We hope you will join us for this engaging presentation on the rapidly growing and changing field of data analytics! 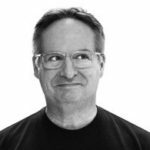 Come join as Mark Mathis III, Partner -Chief Creative & Strategy Officer with AMPERAGE Marketing & Fundraising, as he helps us explore how to take smartphone photos of people, buildings and landscapes. This presentation will arm you with tips and tricks to make your smart-phone photography great–for better storytelling and selling of your organization. We will also give you insights into photo composition so you can be the next Ansel Adams or Annie Leibovitz.